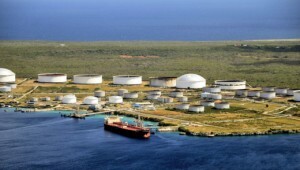 WILLEMSTAD - The government of Curaçao is contemplating to grant a concession to a state-owned corporation of China to build, own and operate an LNG-terminal at Bullenbay, but has not yet decided in which legal form this has to be couched. The B.O.O. regime as worldwide recognized, implies that the builder who finances the construction, also becomes the owner (usually for a period of time reasonably needed for the return on his investment), and is then allowed to commercially operate the constructed object during said period, after which the ownership usually reverts to the original owner of the land on which it is constructed. It is obvious that by applying this B.O.O. regime, the builder becomes the owner of the LNG-terminal, but apart from this, there is a much farther reaching consequence, which is the legal accession of the adjacent water parcel of the Bullenbay deep seaport. In the Curaçao legal system ownership of real property, sometimes also termed immovable property may be transferred on legitimate grounds, for instance by sale and purchase or by inheritance, or by becoming part of a marital community of property and by other more uncommon ways. One particular way is by the Dutch legal term of “natrekking”, which implies the mandatory accession of a property right to an item of (immovable) property, provided that certain objective criteria are met. This accession takes place by the operation of law and below the situation applicable to real property is described. The law prescribes this as follows: “Part of an immovable property which is unbreakably( i.e. not severably) attached to the main object and intended to be serviceable to the main object, such part becomes the property of the owner of the main object, if without such adjacent and unbreakable part the main object would be not be able to serve its intended purpose”. If applied to the B.O.O. construction of the LNG-terminal at Bullenbay, the water parcel adjacent to the LNG-terminal (the main object) which is unbreakably attached to the main object, shall become the property of the owner of the main object (the terminal), since without the water parcel the LNG-terminal would be unable to serve its intended purpose (of transshipment and sale of LNG). In this way the state-owned Chinese corporation would become the owner of the water parcel (a great part of the Bullenbay deep seaport). Another legal instrument which is being contemplated by the government, is to grant a longterm leasehold to the state-owned Chinese corporation, but this legal instrument also entails a great risk-exposure for the continued ownership of Curaçao, since the leaseholder is authorized borrow huge amounts of money and to mortgage the leasehold by providing it by way of security for the repayment of the loan to the lender. However, if the borrower fails to duly comply with its payment obligations, the lender is empowered to a foreclosure of the loan and to sell the mortgaged property (i.e. the LNG-terminal with its adjacent water parcel) and in this way the deep seaport (or a large part of same) may wind up in ownership of any other (maybe an undesirable) party. Moreover as such a physical portion (the seaport) of the territory of the Kingdom of the Netherlands which Curaçao forms part of, would transit into the hands of a foreign entity. In a geopolitical sense the U.S.A. might be “not amused” by such a development by which a deep seaport or at least the control and maybe even the ownership of such seaport in its “backyard”, the Caribbean Region, would become a stronghold of a foreign entity and as such disrupt the existing balance of power in the Caribbean Region. Food for thought.